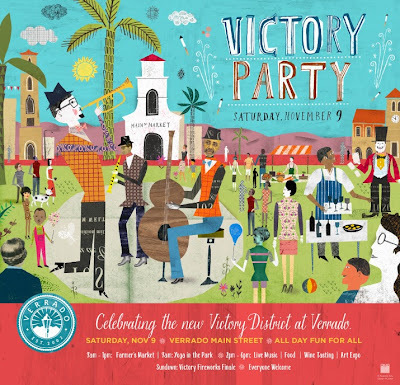 Lindgren & Smith: Martin Haake's "Victory Party"
illustrator Martin Haake to create a poster/image. His festive digital collage can be seen on the Verrado website. Victory Party's list of events and Haake's images reflect this vision. people of various ages enjoying the celebration.